This is part two in the series “Opiate Responders” Part one is here. In 2012, Ray Richardson got out of prison and purchased a track phone that he could not turn on. Now, five years later, Richardson works with addicts on medically assisted treatments such as Suboxone and Methadone — medications used to help wean addicts off of heroin — running meetings and clinics around the state for the Vermont Recovery Network. 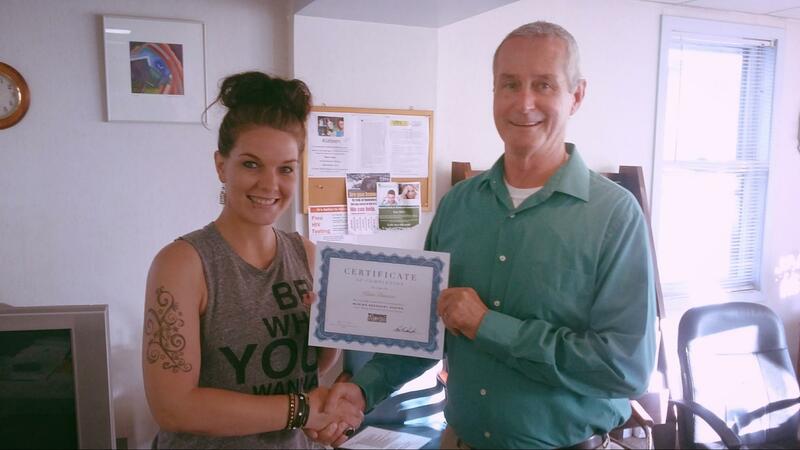 Richardson, handing out a “Making Recovery Easier” certificate. Richardson was an addict himself, using cocaine. Richardson decided to use his own experience with addiction to become a substance abuse counselor that addicts could relate to. The man went to a six month program, and worked hard to get on the right track to recovery. Richardson and the Vermont Recovery Network work to give addicts reasons to improve their lives and get clean.